Because we had a tournament. 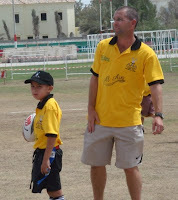 We went with the Al Ain rugby club. We went on the bus to Sharjah. Then we took the airplane. What did you do on the trip? 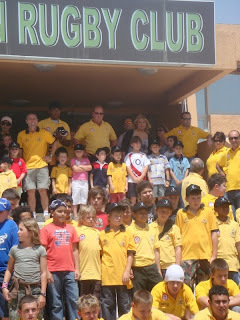 We played in the rugby tournament. What places did you see? I went to the F1 track and the fort. Playing in the rugby tournament. I can't believe you flew on an airplane just to play in a tournament. How many games did you play? How many did you win? Did you make some new friends? new friend but I don't know his name and he is in Kuwait.